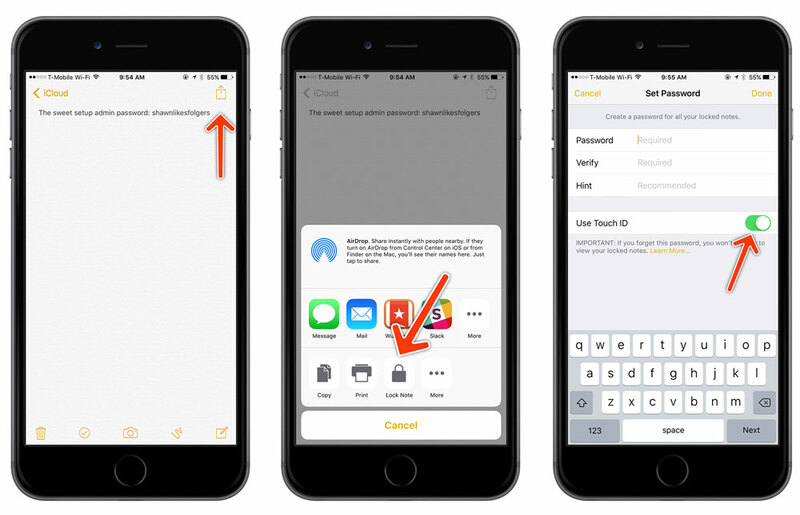 One of the new features that I really love about iOS 9.3 is the ability to password-protect individual notes in the Notes app. It’s incredibly easy to do. To get started, create a new note (or open an existing one). Now, enter a password. You can also enable unlocking the note with the Touch ID option.